Pirate Week is sweeping through Crystal Cove and keeping Jenna Hart and her bookstore, the Cookbook Nook, plenty busy. But she’s not too swamped to also host the local Chocolate Cookbook Club’s meeting—especially because the guest of honor is her friend, candy maker and cookbook author Coco Chastain. Daryl Wood Gerber is the Agatha Award–winning author of Stirring the Plot, Inherit the Word, and Final Sentence, as well as the Cheese Shop Mysteries under the pseudonym Avery Aames. 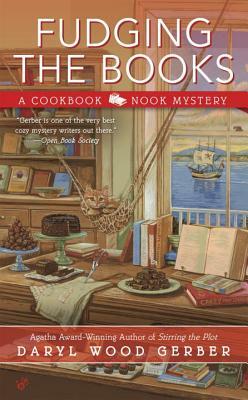 Like her protagonist, Daryl is an admitted foodie and an avid reader of books, including cookbooks. Prior to writing, Daryl acted on stage and television, including on Murder, She Wrote.